This cute veggie rainbow is the perfect snack for St. Patrick's Day, a rainy day, or any day you are trying to get a few more veggies into your little ones tummies. Isn't that everyday? Heck, a snack this cheery might get me to eat more bell peppers! 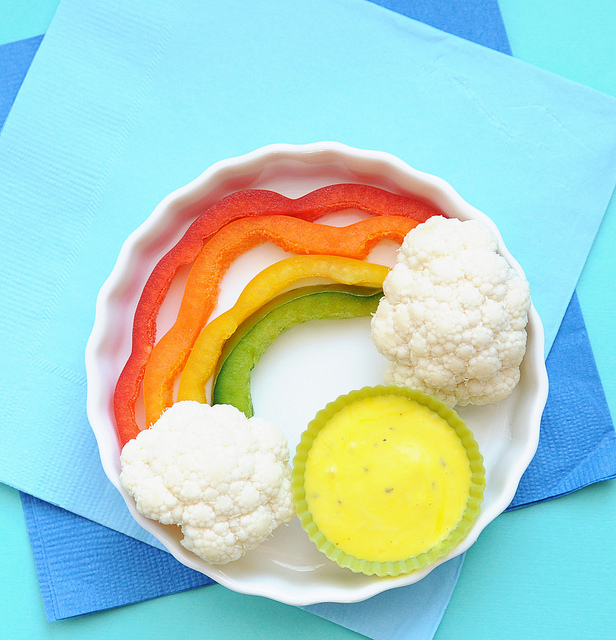 You can check out the details of this cute veggie rainbow snack over at Canadian Family.